So, what I want to know is: when did the rule change? I am referring, of course, to the change in the rule concerning how many entered spaces is proper after a period. Of course, that’s what I’m referring to. I don’t know what you thought I was referring to. Just go with me on this, okay? I know I’m pretty old-school when it comes to some (okay, probably a lot of) things, but I do remember being taught, admittedly a few decades ago, that after a sentence, or any period for that matter (colon, for example) two spaces must be entered. Two abutting sentences must never come in such close proximity as one space, or God forbid, no space. This was firmly embedded in my teenaged brain back in the days of typewriters. Being a product of Catholic schools my entire life (well, except I was a Public for kindergarten), this was an unquestioned canon pretty much right next to the Ten Commandments as far as important rules to follow. So, naturally, when my kids would, in a fit of exasperation, beg me to STOP using two spaces in between sentences, that it wasn’t necessary, I paid no heed to their unfortunate ignorance, while simultaneously regretting the gobs of money obviously wasted on their collective educations. Well, imagine my shock when I recently received a professionally edited version of a manuscript I’ve been penning for quite some time. Details about that will be made known to you as the publication process progresses (try saying that ten times fast). Anyway, the really good news, is that it only required very minor editing. The shocking news was that, throughout the entire manuscript, written in the margins (in red, I might add) was the word “Deleted: ” There was nothing written after the deleted notation. So, what the heck was being deleted? It took me a minute to figure out that it was the extra space being deleted after EVERY SENTENCE. As you can imagine, that’s a lot of red. The editor explained that many publishers now require just one space after a period. My BWB partner was equally surprised by this change in the laws of spacing. When did that happen? I felt like sending the editor an email apologizing for her tedious work in deleting thousands of empty spaces. “I’m sorry. I never got the memo, Lee Ann.” Two questions now haunt me: 1. Are we two the only ones who were terribly misinformed about the changes in spacing rules? and 2. Don’t the sentences in this post seem to be placed WAY too close together? I did consult the MLA Handbook that each of my offspring was required to have in his/her possession throughout high school, for guidance in this quandary. That would be the same MLA Handbook that could never be located before the start of every school year, resulting in the purchase of a new book, which, of course resulted in my immediate finding of the previously purchased book. And, let’s face it, returns are such a hassle. Sidenote: this follows my pattern of purchasing the same books over and over throughout my currently amassed sixteen years of high school (not counting my own four years – I am SO ready to graduate), leading to multiple copies of, to name just a few: The Natural, The Adventures of Huck Finn, To Kill a Mockingbird, New Websters Spanish Dictionary, The Great Gatsby, Lincoln on Leadership, the aforementioned MLA, and, my personal favorite, Nineteen Eighty-Four (coming in at five copies). 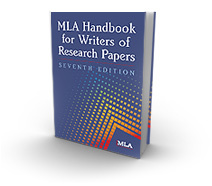 But, back to my point, the MLA Handbook does state, in no uncertain terms that, “while it is increasingly common for papers and manuscripts to be prepared with a single space after all concluding punctuation marks, as a practical matter, there is nothing wrong with using two spaces (page 94).” HAH! I was right! YES! Wow, that felt good. And, another question: Aren’t these last sentences much more pleasing to the eyeball? Thought so. I have to say, I don’t approve of this change. Since no one consulted me, though, I guess I’ll accept it. But, I refuse to be happy about it. Now I feel better. And, if you’re wondering about the title of this post, it’s a paraphrased (by me) quote from Eddie Van Halen regarding rules that I happen to agree with. I haven’t seen you in nearly 40 years, but love you still. I loved this post too. You nailed it. I’ve been wondering about this matter for a long time and you not only solved it, but did so eloquently and with wonderful humor. I’m a long-time two-spacer myself, but confess I’ve been influence by one-space philosophy in recent years. I think the change came in the transition from typewriters and word-processors (did you ever have one of those? I did!) to personal computers. I find myself rebelling in mid-life, saying, “to blazes” with the rules, and sometimes even using 3 spaces, or even none to declare that I’m not going to live by their rules any longer! I’m deeply curious about your referenced manuscript, and can’t wait to learn more about that, and to read your next post to see what outrage in life is going to get exposed for the foolishness it is. Haha, thanks Ed. It’s always nice to know I’m not the only one out there battling these issues! I love your rebellious nature! Zero spaces??? NO spaces???? My God you’ve gone mad!